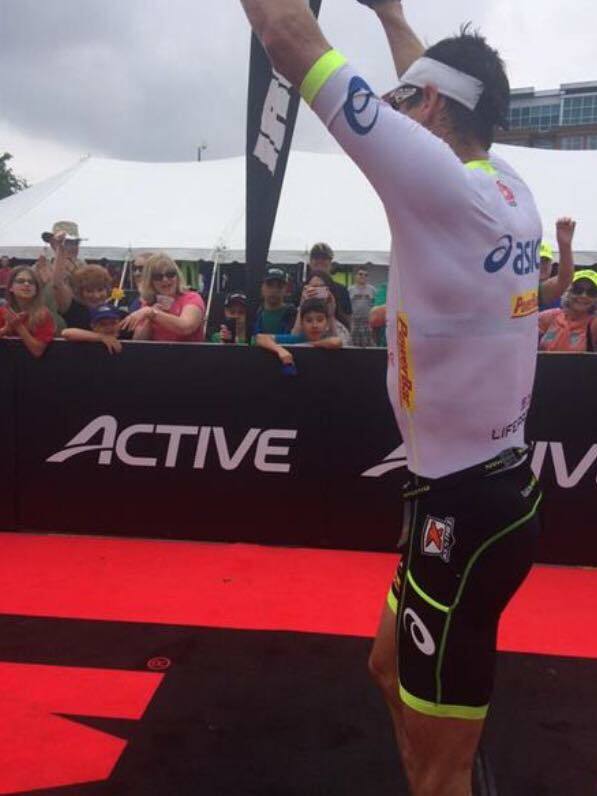 Once again, Colorado Springs’ Andy Potts took the win at another race, but it was hardly a runaway victory. 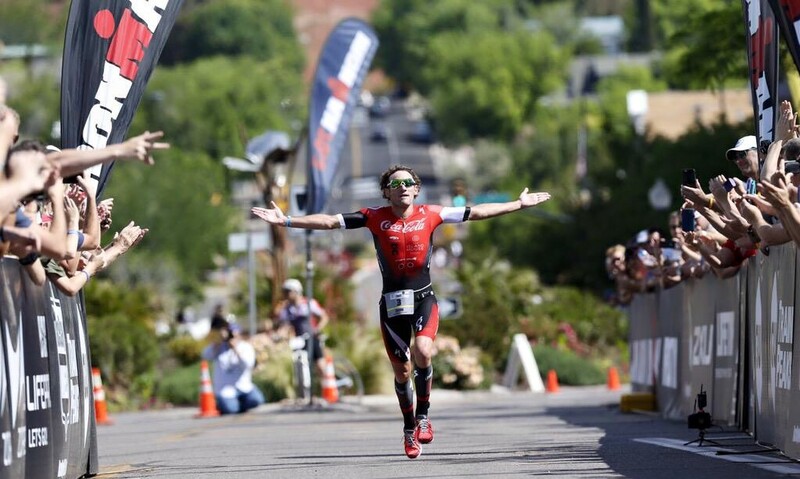 Anyone following Ironman 70.3 Chattanooga online saw some lead changes and a serious showdown on the run, thanks to Boulder’s Leon Griffin and Terenzo Bozzone. However, Potts turned in the fastest swim (21:59) and run (1:14:22) of the day, which helped him reclaim, and hold onto, the lead for the win in 3:49:43. Coming out of the water in the lead pack just seconds behind Potts and Bozzone were Colorado athletes Greg Bennett, Brian Fleischmann, Jimmy Seear, and Joe Umphenour. 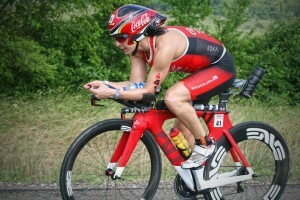 Once they all hit the bike, Fleishmann took a stab at the lead and held on until they approached mile 26. The biggest story on the bike was the power of Griffin to claw his way back after being about a minute and a half down on the lead group. Admitting to some problems in the water, Griffin said he raced “angry” on the bike and decided to ride aggressively to catch the leaders. Griffin’s surge paid off and put him out front, turning in the fastest bike time of the day (2:08:44). Griffin came into the run with a slight lead over a quickly approaching group, including the fast feet of Potts and Bozzone. Utilizing the two loop run to their advantage, Potts and Bozzone reeled in Griffin and passed him to take the first and second spots, but Griffin would not give up. As Potts eventually shook off Bozzone to take the lead, Griffin kept a swift run pace to eventually pass Bozzone and continue to hunt Potts. Although Potts would take the win, Griffin, who was fighting off a cold (although you would never know it!) turned in the third fastest run of the day (1:15:50) to grab second place while Bozzone, who finished up his fourth race in four weeks, would round out the podium with a solid run as well (1:17:18). Wobble or not, Griffin closed out a great race with race time of 3:51:15. 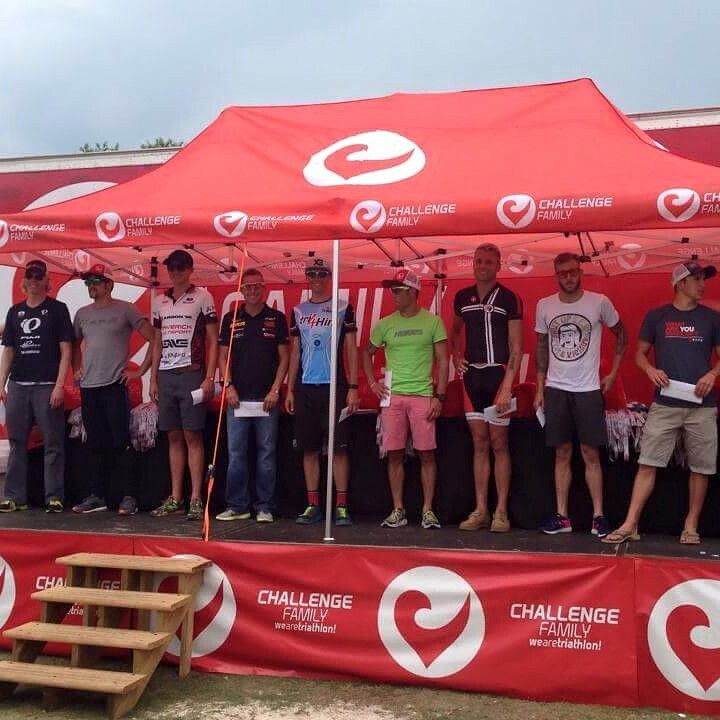 Other Colorado men showing off some serious talent were fifth place finisher Fleischmann 3:57:19, sixth place Bennett in 3:58:30, seventh place Seear in 4:01:17, ninth place Umphenour in 4:04:4, fourteenth place Robbie Wade in 4:07:5, and fifteenth place Steven Zawaski, a newly-acclaimed Boulder resident, in 4:08:31. “The course and event were great. 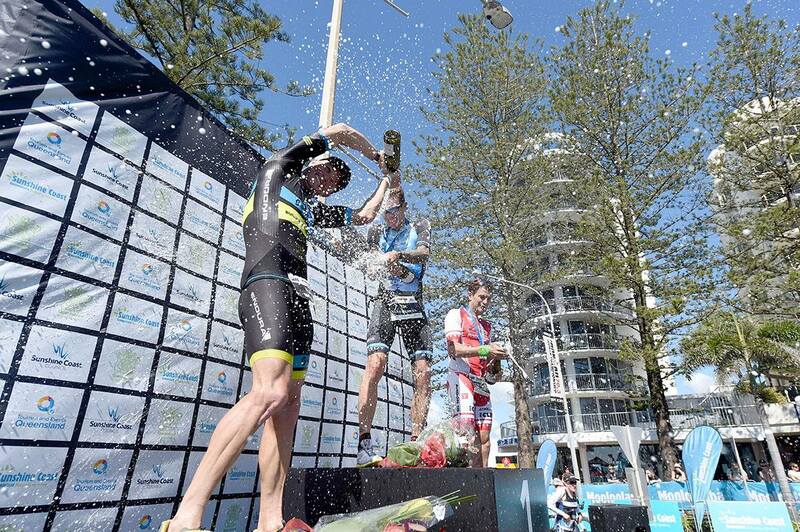 The race was tough and spectator friendly, which is always a plus for those with family and friends watching. 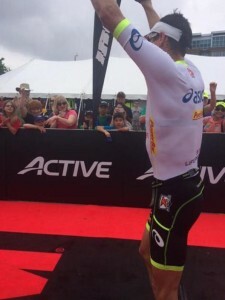 It seemed like Chattanooga really got behind the event and the athletes welcomed the race with open arms,” Griffin added on a day where the Colorado men shined the brightest! 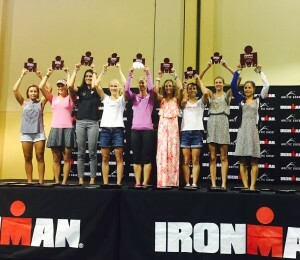 The Ironman North American Championship race at Ironman Texas seemed to be a solid stomping ground for our Colorado women to make their mark as we approach the halfway point of the racing season. To no surprise, our Colorado ladies, Katy Blakemore, Leanda Cave, and Rachel Joyce, led the women out of the water to start what would be an exciting race day. As they hit the bikes, Cave and Joyce stayed neck and neck through the first half of the course, until eventual winner Angela Naeth would come storming past them to take the lead. Cave however stayed within striking distance of Naeth, who would not slow up for the rest of the ride. Joyce fell back a couple of minutes, but held tough and found herself in fourth coming off of the bike due the powerful ride of Corinne Abraham, who grabbed third position as the bike came to an end. 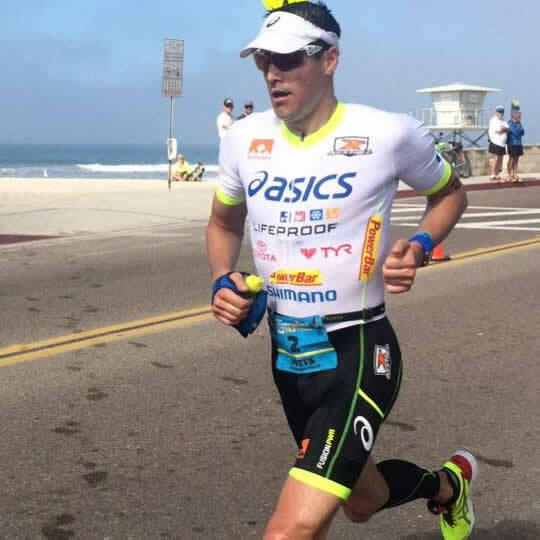 As Naeth hit the ground running in T2, Cave stayed just seconds behind and was able to run with Naeth until around mile five. Naeth would not be denied the title of North American champ and held off Cave until the end of the grueling 26.2 marathon, finishing the day as champion in 8:55:10. Cave would not let go of the grip on second place and hung tough to finish in the runnerup spot in 8:58:10. Joyce, however, clawed her way onto the podium and took over third place from Abraham on the run, finishing in 9:05:00. Our final Colorado competitor, Katy Blakemore, had a solid day in all three events to claim an overall eighth place with a time of 9:18:00. The former collegiate swimmer proved she can lead out of the water and hang tough all day, just like we knew she could. Great job, Colorado women! 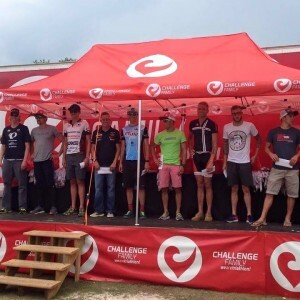 Although it would be Matt Hanson’s day to be the champion, our Colorado men also delivered some big races in the heart of Texas with Matt Russell finishing seventh and Ben Hoffman finishing eighth, just tenths of a second apart. Both men put together a solid performance on what we hear was a very humid day, but it wasn’t enough for the win in one of the most stacked fields of the year so far. 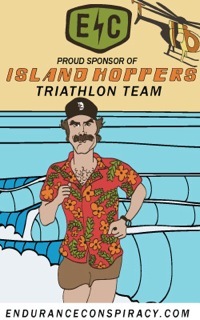 Look for Russell and Hoffman to be ready for redemption at their next races. Lesley Smith came out swinging as she battled back all day to capture the win at Challenge Knoxville. 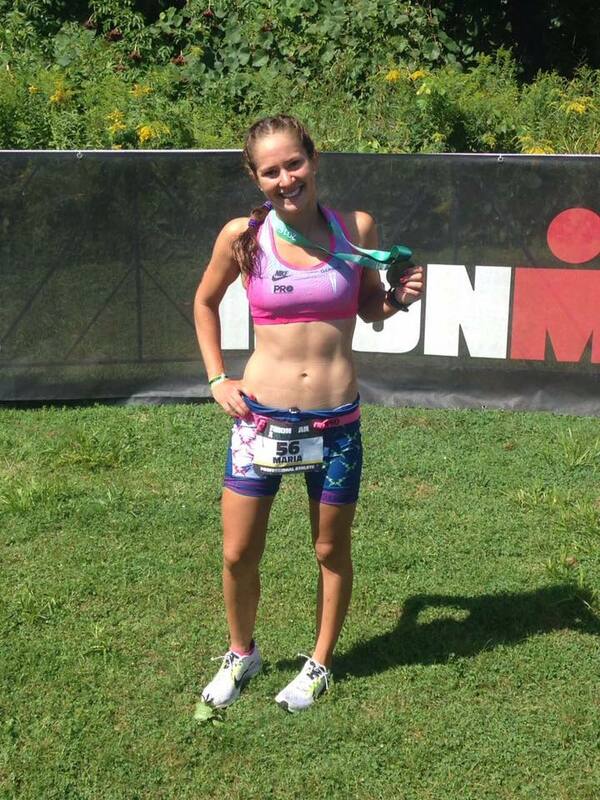 Smith, who was solid in the swim (28:58) and bike (2:35:42) worked to chip away at the lead of eventual runner-up Rachel McBride all day and eventually claimed the victory thanks to her run speed. Smith ran the fastest women’s run time of the day in 1:23 to make up the deficient between her and McBride. Smith took the victory by the slightest of margins for a winning time of 4:31:20. Rounding out the podium in third place was Colorado-based pro Jeanni Seymour who finished with a stellar overall time of 4:35:08. Hanging tough all day was Boulder-based pro Kathy Rakel who, according to her Facebook page, was “happy to get through the race healthy.” We are happy about that too, Kathy! Not getting through her race day injury-free was Bek Keat, who was in the hunt for the win most of the day until she tore her calf muscle and was forced to call it a day. We wish you a speedy recovery, Bek! On the men’s side, Colorado was well represented with four top 10 performances, including champion Cam Dye, runner-up Chris Leiferman, sixth place James Hadley, and eighth place A.J. Baucco. Dye was pretty much untouchable all day turning in a solid swim of 24:16, bike 2:11, and run of 1:21 to take the win with an overall time of 3:59:27. Leiferman, who has had much success so far this year, impressed with the fastest run time of the day, a 1:18, to finish with a final time of 4:03:59. For Leiferman, being injury free has played a big role in his lickety-split run times along with some quality sessions designed by his coach, Michael Lovato. Finishing in a solid sixth place was Hadley, who had not raced the half distance since his surgery last year. A swift swimmer, Hadley started his day in the front group thanks to his swim time of 25:14 and held on throughout the day in a tough field. We are happy the “Hadmeister” is back and look forward to watching him shake off the dust from his injury. Also putting together a sound day was eighth place finisher A.J. Baucco whose bike of 2:16 and run of 1:24 kept him in the mix throughout the race.